It can be hard to cook for my family. Everyone likes different styles of cooking. Davis is a meat and potatoes guy. Olivia is vegetarian. My mom likes casseroles and I like any of it. Today I made a vegetarian chili so that everyone could embellish it to suit their own taste. Davis added meat. Olivia added hot sauce. My mom added sour cream and chips. And I added cheese. Everyone was happy. 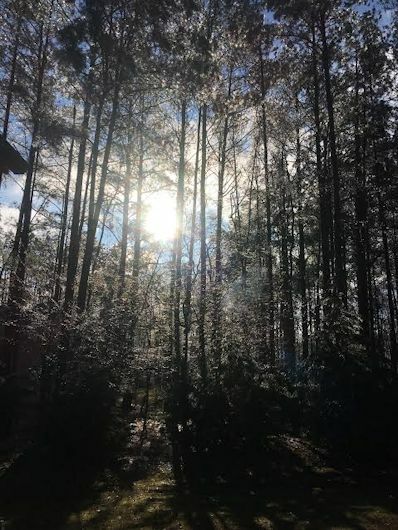 We were supposed to get some snow last night but we didn’t. 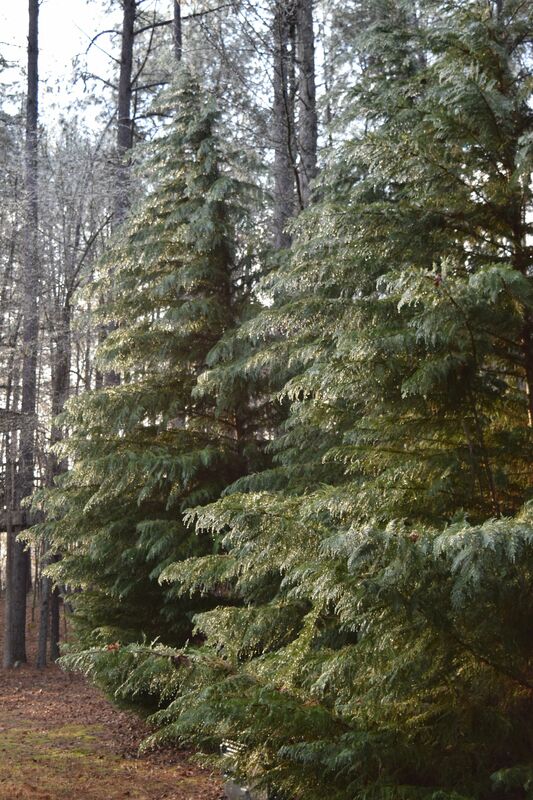 Instead we got some freezing rain in the tops of the trees. But I got out of school two hours early yesterday so I’m not complaining. 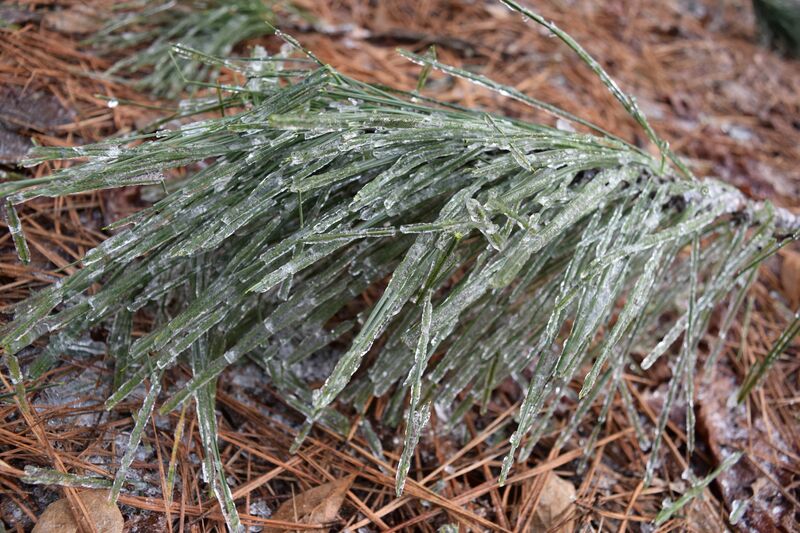 Mostly we have clumps of broken off frozen pine needles because the ice made them too heavy to stay on the branch. 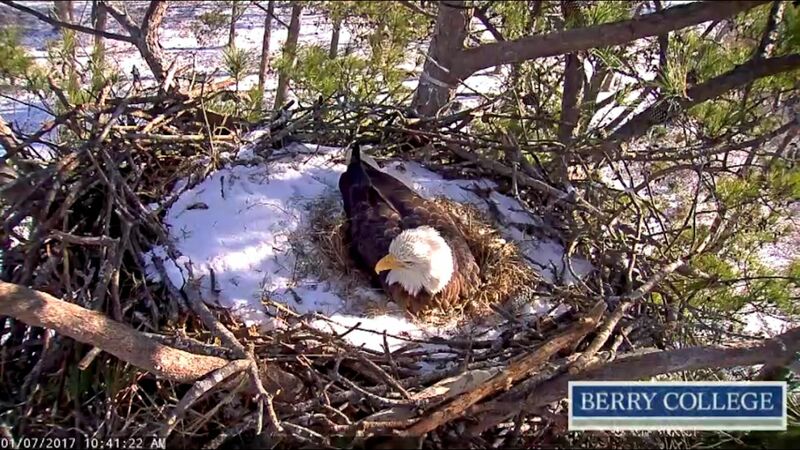 Don’t forget to tune into the Berry Eagle Cam. So far, there is one egg and the mom is dutifully tending to it even in the snow. I have been doing some top secret sewing today. I will share soon. So far I have made one item and the zipper is in upside down. I am NOT ripping it out. If you stick your finger in and wiggle it around you can get the zipper open. Closing it is a breeze. I’ll just be sure not to put anything in there that I need out speedy quick because the finger wiggle technique is not the most expeditious. 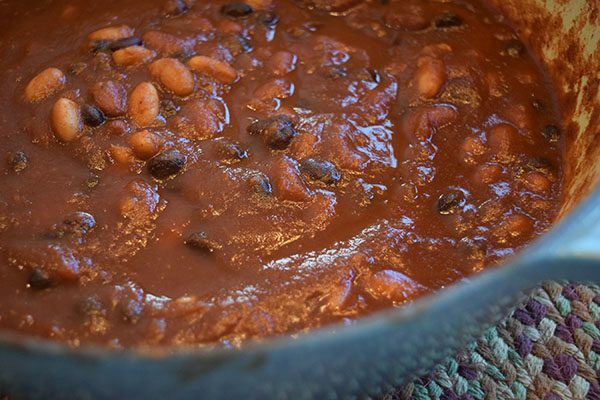 Have some chili and forget your marginal domestic skills. Cook onions and garlic in a nonstick pan until softened. You may need to add a teaspoon of oil but I didn’t, and calorie count at the end reflects this. Place the onions and garlic in a stockpot and add the rest of the ingredients, stir to mix. Adjust seasonings to preference. Simmer 30 minutes. Serve with ground beef, shredded cheese, sour cream, chopped onion, corn chips, etc. 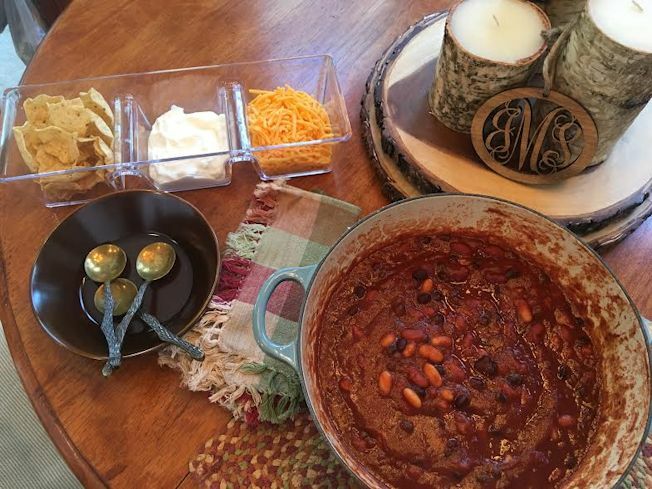 One cup chili without garnishes is 185 calories.